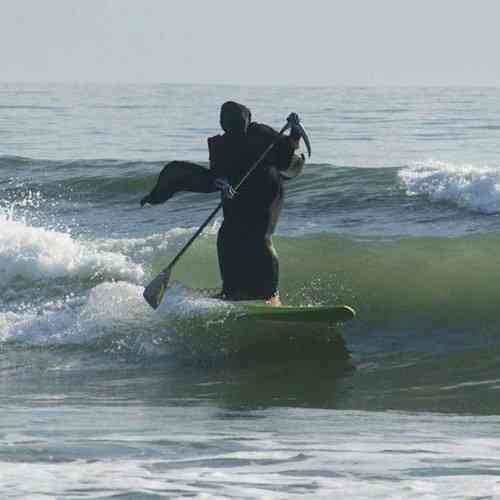 Do you ever have those intense dreams where a lot of weird, improbable things happen that shouldn’t fit together but it still makes sense at the time, and all of it is probably taking place within five minutes of REM sleep but it feels like an entire x4 speed movie? That’s kind of what Ittle Dew 2+ is like. In this adventure, protagonist Ittle and her sidekick Tippsie have somehow crashed into a pond in the middle of an island and must collect their eight pieces of raft locked away in eight different dungeons to set sail again. It’s a wacky title that constantly breaks the fourth wall, filled with eccentric inhabitants with their own quip to throw at you. I got some Undertale vibes with Ittle Dew 2+‘s absurdist humor and memorable characters, but the game doesn’t have the same genuine emotion and sincerity behind it, adopting a cheeky, dry tone instead. My favorite example of the game’s humor is the staff area, where bosses and other NPCs can be found hanging out when they’re off the job. Ittle Dew 2+ is charming, weird, and self-aware — all in good fun. Playing Ittle Dew 2+ on the Nintendo Switch inevitably brings to mind portable top-down Legend of Zelda games, but it establishes itself apart from its inspiration through its own strange charm. The game features a large overworld of different areas, each with their own environment and aesthetic that oozes fun and light-heartedness. Ittle Dew 2+ goes beyond the standard lava/snow/forest landscapes to feature places like a candy-covered coastline, a glittering star-covered trash swamp, and some kind of…fruit and vegetable soup land? The dungeons themselves are as strange as the areas they are found in and can range from the postmodernist art gallery to a mine filled with bananas and more. You can complete the dungeons out of order, and the game often assures you that there is always a way to solve them, no matter what items you are carrying at the time. 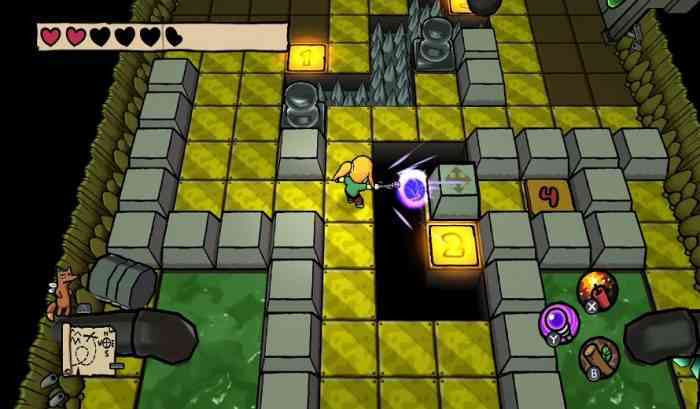 Ittle Dew 2+ handles this by allowing the player to take a longer route to the boss room if they are missing certain items, but with the right ones, you can take shortcuts through dungeons instead. While this is a clever way of facilitating free exploration and multiple paths, it can shorten dungeons (and overall game time) considerably. The dungeons themselves are small, with uncomplicated layouts and filled to the brim with the game’s strongest aspect — its well-balanced puzzles. 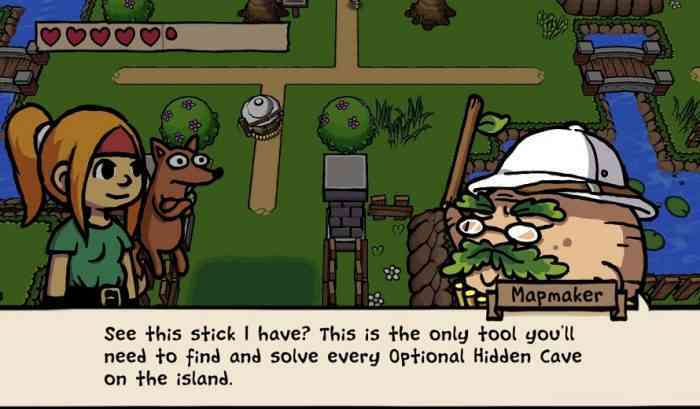 The puzzles of Ittle Dew 2+ are cleverly put together, with just the right amount of challenge and reward as the player can receive items, upgrades, or just progress through the dungeon feeling accomplished. It is all supported by a hint system which points you in the right direction if you’re feeling lost, but it doesn’t tell you what to do outright. Even the most difficult puzzles never feel like they are stopping the flow of gameplay because they are the best part of the game. The dungeons and overworld of Ittle Dew 2+ are also inhabited by monsters, perfect for adventures such as yourself to slay. For such a humorous game, the combat of Ittle Dew 2+ is surprisingly challenging — expect to die often, but the checkpoints are never too far away, especially for boss fights. However, Ittle swings her sword fast, which can tempt more impatient players (like me) to just jump in there and try to overpower the enemy — and more often than not, this works, making gameplay fly by and combat feel unsubstantial. You don’t feel compelled to take your time either because there is little actual reward in picking fights unless you need to clear a room of monsters to proceed in a dungeon or if you’re desperate for hearts and want to attempt to get a rare drop of health. Combat can get repetitive at times, especially the boss fights. Often, you are fighting the same bosses (who can also be found in the staff area), but they have a slightly different move set than they do in other dungeons. There is little variation in how you can beat monsters in the overworld as well (try hitting them with a stick or sword over and over) and little reward in it. Mostly, they are an inconvenience and deterrent for exploring the world. Unfortunately, the combat is in part challenging due to clumsy controls. Precision is a weak point of the game, felt most keenly during boss battles where you need to quickly aim your long-ranged attacks but upon firing you find yourself facing just slightly to the left or right of the giant dangerous robot you’re trying to hit. 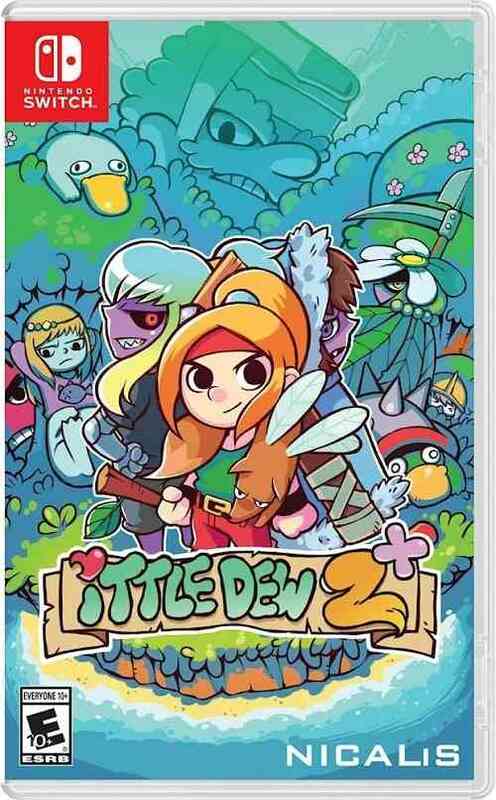 Ittle Dew 2+ is a perfect fit for the portable Switch, and a supplement if you’ve been missing a top-down Zelda title on it. 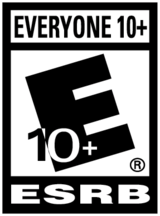 It has its own brand of humor and is chock-full of creativity with its visuals, dialogue, and puzzles, but can be found lacking with regard to its repetitive, unrewarding combat. Next Gear.Club Unlimited Review – Is This Switch’s Answer to Forza?